Medicine cabinets are an essential part of any home and as indispensible as they are, they need to be designed in such a way that your kids do not gain access to them. So here are 10 chic lockable ideas that can store your medicines in style. If you have a small bathroom then this porthole style mirror is the ideal one to give the feel of a mariner’s deck. Added to it is a secret space lodged inside that stores your lotions and potions. A childproof lock is all you need to make it family-friendly. This is a takeoff from the classic medicine cabinet with the inclusion of a door less cubby underneath to keep kids items handy. The rest of the shelf is covered in a two-sided mirror door. The interior is well designed to fit in all your medical and first-aid stuff and special railings to keep them from tipping over when you open the door. 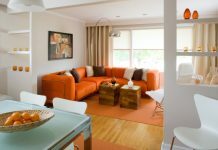 One does not have to do away with the current fixture for getting a new look. This holds true for your medicine cabinet too. 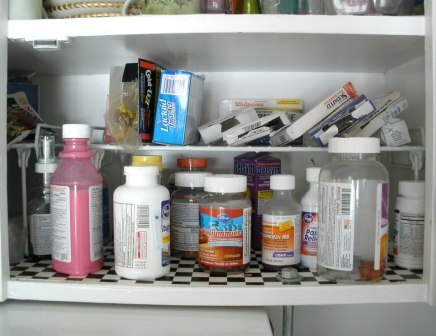 For instance, your washroom shelf can be doubled up as a medicine cabinet by using just a bit of imagination. You could redesign the door by painting it black and then reframing it so that you can use it as a reminder board. Cabinets and shelves made of recycled material are a fad these days. Designers are getting eco-friendly and inventing methods to reuse a wide range of material from discarded washboards to storage pellets. You can visit one such local designer’s workshop and order one that fits your décor and purse. That way you can contribute to making our planet a little more green. Ever heard of a cabinet that plays hide and seek with you? 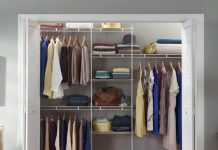 One designer has gone ultra creative by designing a medicine cabinet with sliding shelves that can store anything from medicines to nail trimmers. You can switch to a traditional lock and key model for storing strictly restricted pharmaceutical products. This is a small 1 foot wide cabinet that can only be opened by the owner of the medication and none else. This is another model that combines antiquity with recycling. A designer has tastefully remodeled an antique suitcase into a medicine shelf. All that one needs to do is add adjustable shelves and a mirror on the exterior. This shelf is highly portable as it can be easily moved from one house to the other. This classic model has been reintroduced by Italian designers and looks very chic and screams about its content. One can either paint it red or white or go unconventional using a green. Classical designs like this need no mention. Pick up one from your local flea market or a curios shop and give it a fresh dash of veneer to make it look new. A round, wall mounted cabinet can easily be transformed into a medicine cabinet by painting it red and white. Lock it up and keep all your consumables safe and away from the mischief of your toddlers.